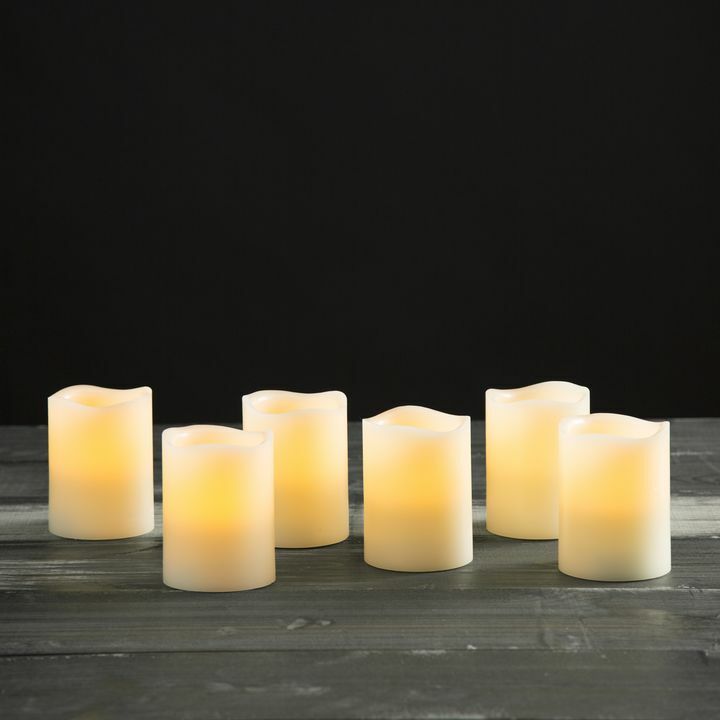 There are only 225 available of the Warm White Flameless Party Votives - Set of 12. Your selected quantity has been adjusted. 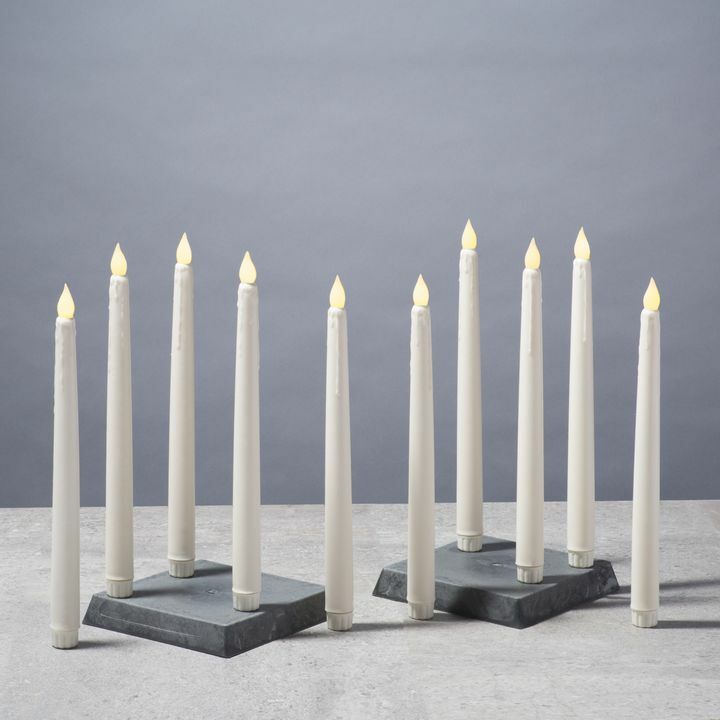 This set of twelve flameless candles creates the subtle, inviting ambiance votives are known for without the worry of messy drippings, quick burn-out, or open flame. Nestled them among a centerpiece for your next big dinner party or arrange them around your living room for relaxing nights at home. Perfect for home, weddings, churches, restaurants, and events. Beautiful votives. Warm white light. Ordered 48, and all work great. Came with extra batteries even! The votives will be perfect surrounding the centerpieces at my wedding. 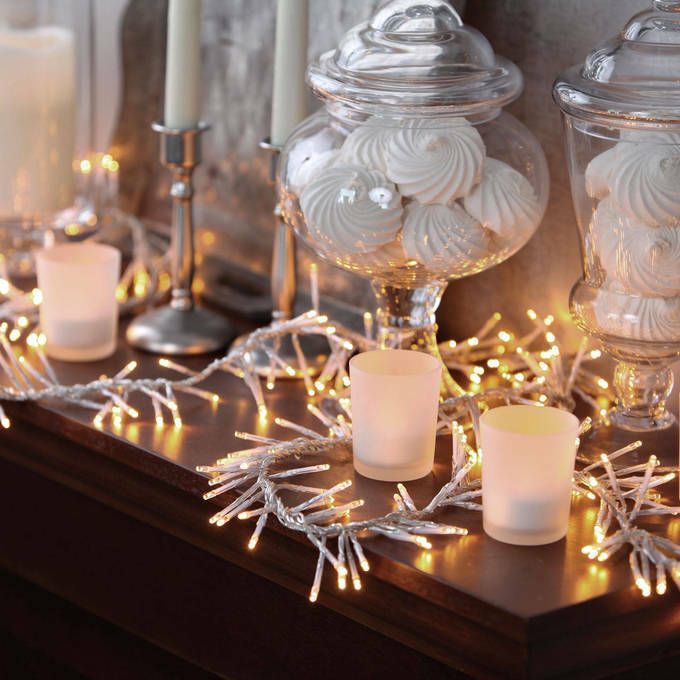 They look like a real candle flickering! 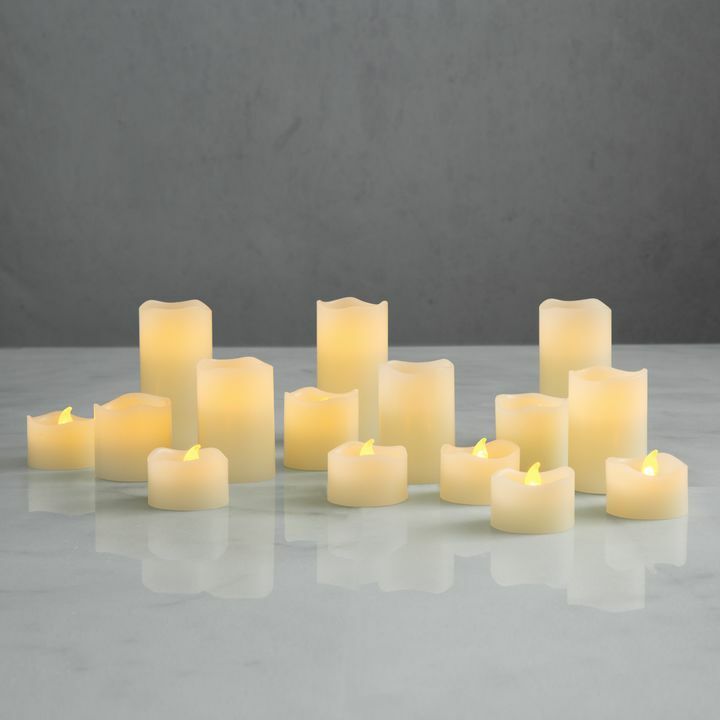 We decided to go with the battery operated votives as an accent to our centerpieces at our Celebration Party, so ordered almost 300 from your company. Great customer service! No issues getting them ordered (good price) and quick delivery! Anxious to see how they will all look on the tables. Is the holder part of these made of glass, or plastic? 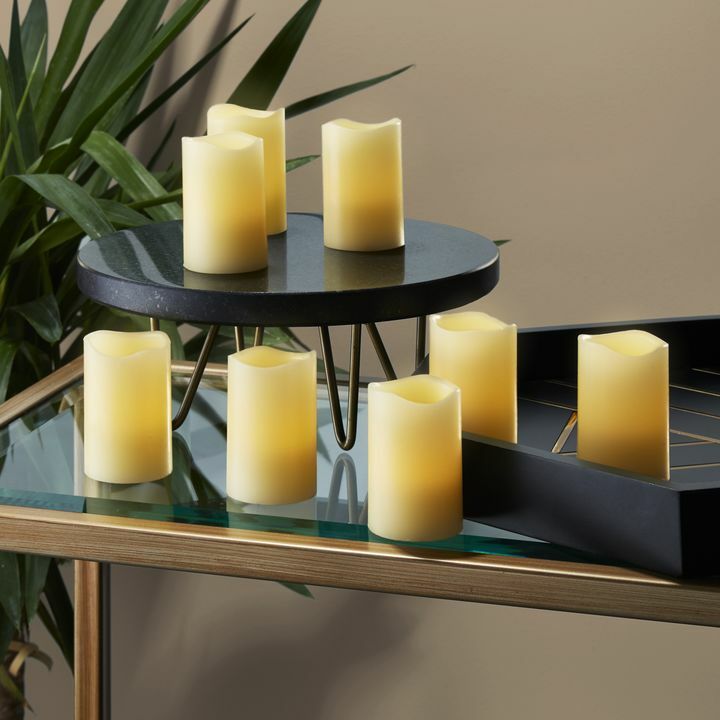 Are these candles suitable for outdoor use? 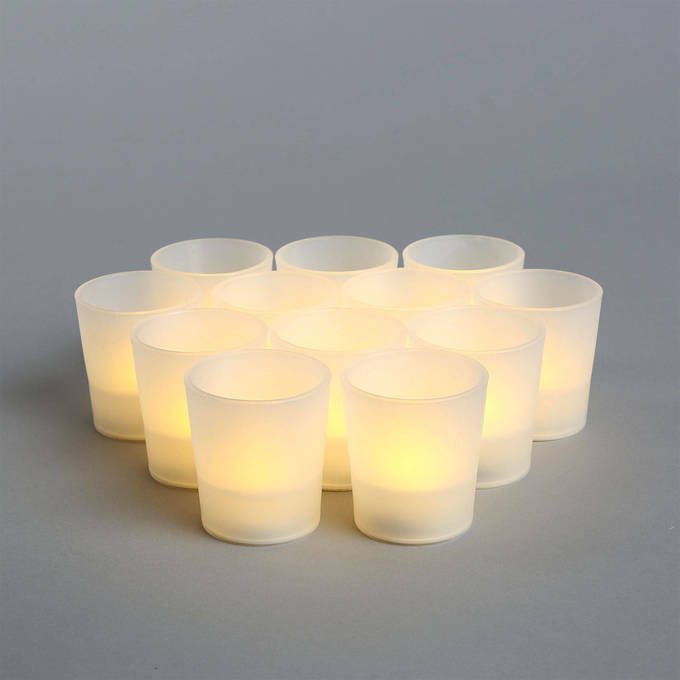 Yes, the Warm White Flameless Party Votives are suitable for outdoor use. Will candles turn off after a period of time? 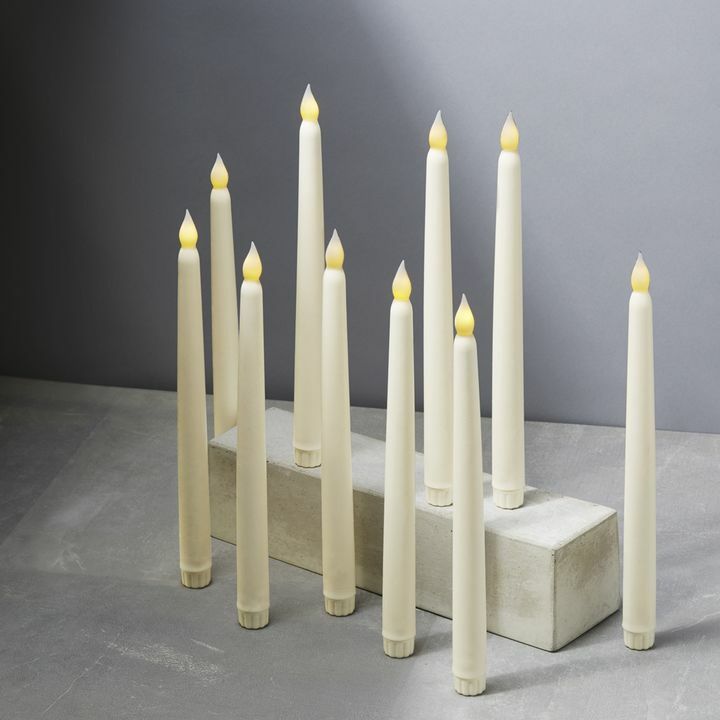 These candles do not have an automatic timer. 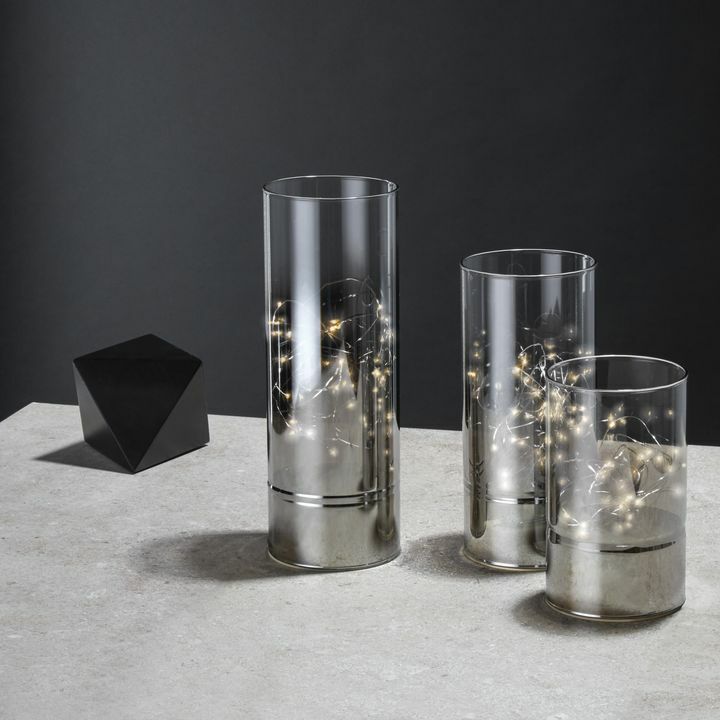 Are the votive holders glass? Approximately, what is the weight of each votive? They are plastic and each votive weights roughly 8 grams. 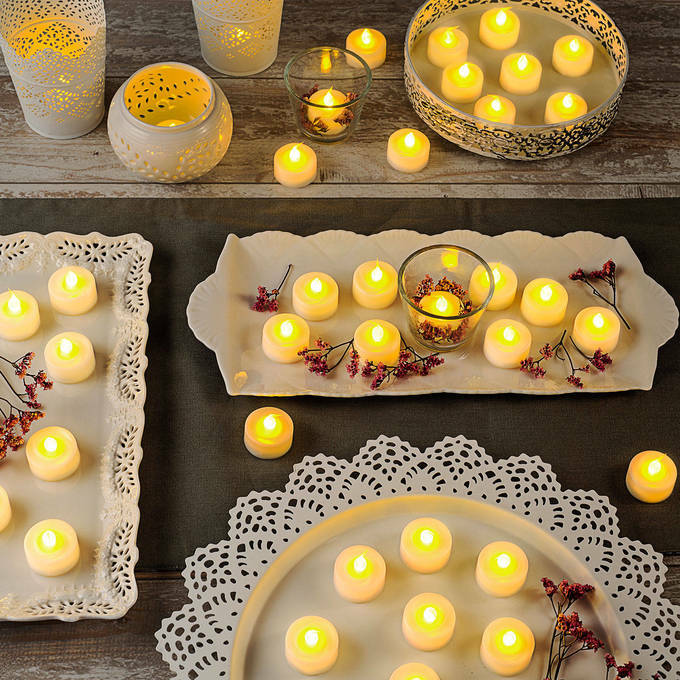 On October 22, 2014, we ordered 1,000 of these tea lights - half were to be used for an event on November 22, 2014 and the remaining were to be used for our 2015 event. We were disappointed that numerous lights did not work at the 2014 event. 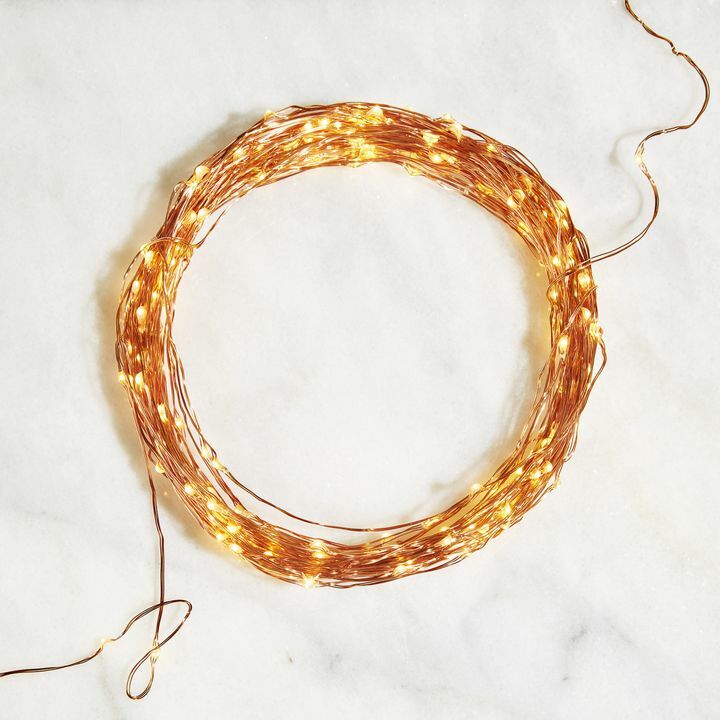 As we are planning this year's event, we have tested and discovered that of the remaining lights that we ordered and were not used, only 108 are fully functional. 96 are borderline functional and 300 are bad. We were wondering if we could return these for credit when we order for this year's event. Have you tried taking a battery from a working one and placing it into the non working ones? After this much time its quite likely just a battery issue, That being said if you test them and find that it is a battery issue we do sell packs of 25 for $15. We'd be happy to email you a discount coupon towards those right now as well. 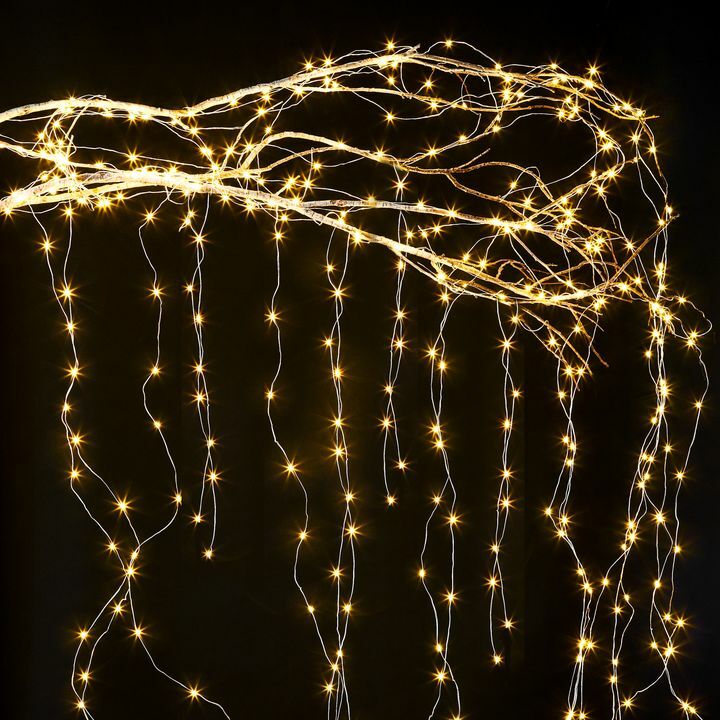 Hi, Do these lights ONLY flicker? I like the flicker option but will need soem to also just stay on. Yes these only have a flicker option. How long will a battery light last assuming it is on all the time? Hello, one CR2 battery should last about 50 hours. is there an on off switch or how are they turned on? 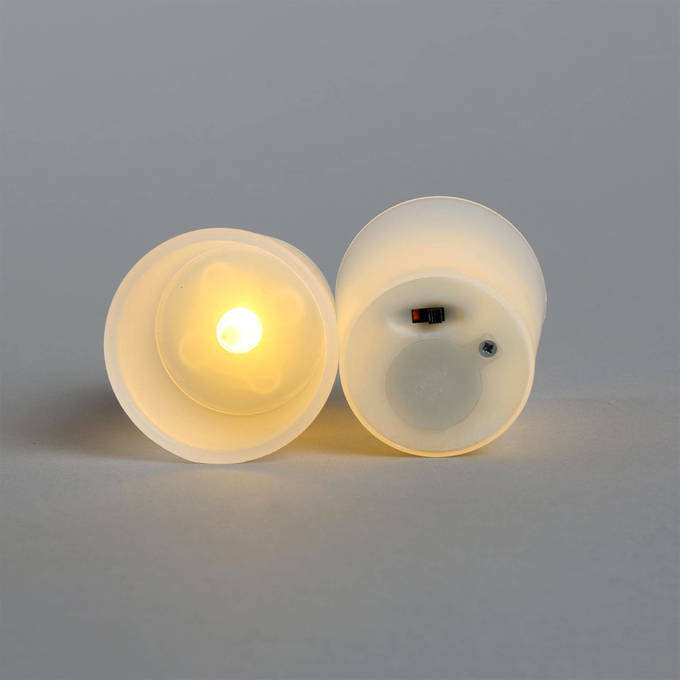 There is an On | Off switch located at the bottom of each votive.